Commercial antiperspirants can be full of dangerous substances, learn how to make natural deodorant for an effective all-natural substitute with no baking soda. It's perfect for those with sensitive skin or people trying natural deodorant for the first time. This post uses affiliate links. They don’t cost you a thing and help us bring you all natural body care tutorials. Have you ever thought about giving up antiperspirant? I stopped using it last year. No, I am not passionate about spreading body odor across the United States. I am on a mission to protect my health… one personal care product at a time! 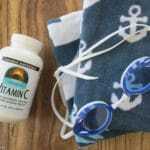 A few years ago I began paying more attention to the ingredients in my personal care items and learned some shocking facts about antiperspirant. That nondescript white stuff I'd been spreading under my arms for years was full of substances that can be dangerous to the human body. Why do arm pits smell? Smelly armpits are caused by the bacteria that grows in the damp underarm environment created by sweat. The bacteria feed on the fats and proteins that are released by our cells. Gross, but true! How does antiperspirant stop smell? Antiperspirants products stop underarm odor because they stop you from sweating. Their ingredients cause skin cells to swell until they block the ducts that release sweat. No sweat means a less desirable area for bacteria to grow (and smell). What is the active ingredient in antiperspirant? Even natural crystal antiperspirants contain some aluminum in the form of potassium alum or ammonium alum. It's the aluminum compounds that cause the swelling that blocks the sweat ducts. This is BAD NEWS for humans who use want to use antiperspirant. Why is aluminum bad in personal care products? It turns out there is evidence that aluminum is a neurotoxin that should not be in the human body. Aluminum has been found in increased concentrations in people with Alzheimer’s disease. Aluminum salts increase breast cancer risk by mimicking the hormone estrogen. Aluminum can cause the DNA damage necessary for cancer to develop in humans. Aluminum can prove fatal to people with impaired kidney function. Antiperspirant is the most common sources of aluminum exposure for humans. Repeated daily use can mean a massive exposure to aluminum. Antiperspirant is applied dangerously close to breast tissue. PLUS underarm shaving before applying deodorant can increase aluminum absorption. In fact, young girls who use antiperspirants may be more likely to develop breast cancer later in life. Stopping sweat blocks the body from naturally releasing toxins via your underarm sweat. Commercial antiperspirants and deodorants may also contain paraben, triclosan, and artificial fragrance. These substances can interfere with thyroid hormones, mess with your metabolism, impair brain development, weaken muscles, decrease sperm count, mimic estrogen (causing early onset puberty and/or breast cancer), act as allergens, and/or cause cellular level changes. 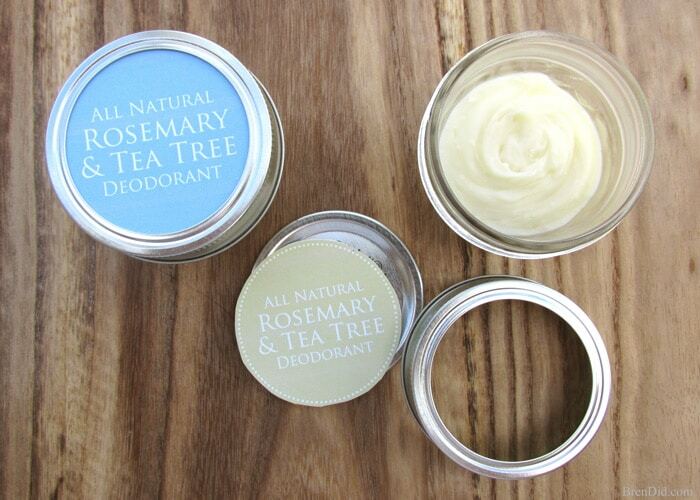 #1 Buy an all-natural deodorant. Deodorants do not keep you from sweating, instead they target the bacteria that causes the smell to stop underarm odor from being produced. Check out my Natural Deodorant Test and Reviews to see the products I recommend. 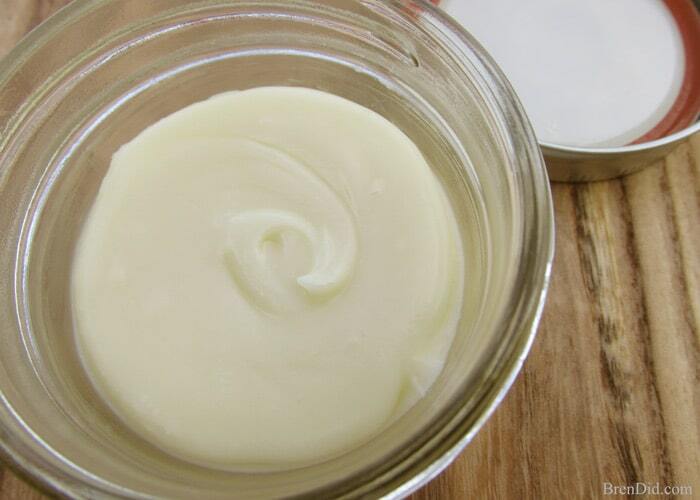 #2 Make your own all-natural deodorant. Tea tree oil has an herbal scent and is both antibacterial and antifungal. Lemongrass has a fresh and clean aroma. Its main component is lemonal or citral, which has anti-fungal and antimicrobial qualities and acts as a deodorant. Rosemary has a fresh scent reminiscent of pine and mint. It has antimicrobial and antiseptic qualities. Virgin coconut oil is a raw vegetable oil that has a high content of lanauric acid which is anti-viral, anti-fungal, and anti-bacterial. Mango butter is pressed from the seed of the mango fruit. It is highly emollient (softening and soothing) and has a high content of tannins which have anti-fungal and anti-bacterial properties. Corn starch and Arrowroot powder are both highly absorbent powders that absorb moisture. 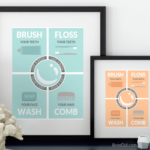 A dry environment is much less friendly to bacteria and fungus. Vitamin e oil is know for its skin healing and antioxidant properties. 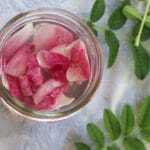 It acts as a natural preservative in homemade body care items. Combine coconut oil, mango butter and beeswax in a small glass or metal container. I make mine in small Mason jars that hold 4 ounces. Place the container in a small saucepan of simmering water to make a fake double boiler. The water should only be half way up the side of your container. Do not get any water into the container. Watch the mixture carefully and remove from the heat as soon as the beeswax is melted. Use a wooden craft stick or popscicle stick to stir. Once the mixture is smooth stir in your essential oils. Pour into storage container (you can also use an old deodorant container). Allow the deodorant to cool completely. 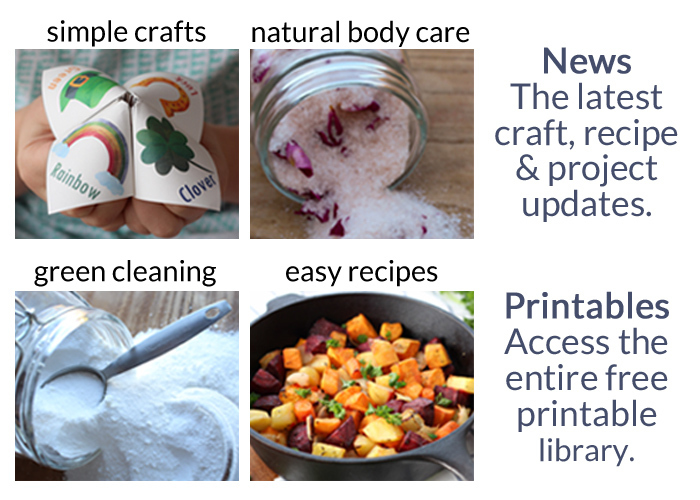 Attach a free printable label, if desired. To use apply 1/4-1/2 tsp and rub into each underarm. Apply twice a day at first, after using it for a few weeks you can apply once a day. Apply a bit of cornstarch, Cooling Powder, or No More Stinky Feet Spray (it works on underarms too) to underarms before the deodorant. Rinse your underarms with apple cider vinegar before applying the deodorant. 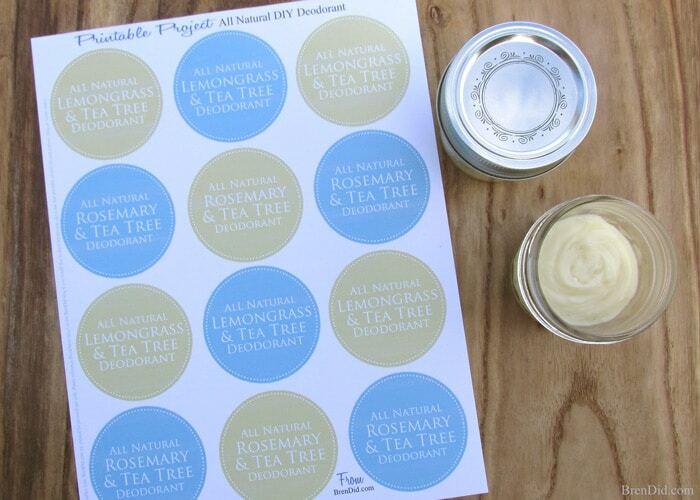 Get a free printable PDF label (available in the free printable library) for your homemade deodorant. 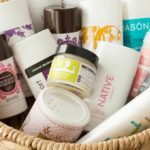 Like natural body care tips? Sign up for my newsletter below and never miss a thing! My first natural deodorant was consisted of smilar ingredients except cornstarch and mango butter. I only used it for a week because I did not like the consistency and smell. I stumbled across your blog and decided to try out your recipe. Thanks for this recipe, this is the exact consistency I was looking for and know what, I cannot stop sniffing my pits. This lasts even 48 hrs. Woo hoo! I am so glad it works well for you, Rhyta! I’ve nearly finished my first batch of the doedorant from your recipe. It has usually been effective with the body odor but the summer came and It doesn’t seem to be enough for me (I’ve been spraying some vinegar on armpits before applying deodorant but no better). I’m considering trying out baking soda- what amount do you recommend I could try mixing in your recipe? Secondly, It has stained my bras- I have now orange marks around the armip areas and they won’t wash away. I have used shea butter in place of mango butter- do you think this may have caused the staining? Thanks for commenting, Anna. I’m not sure how much baking soda to add. 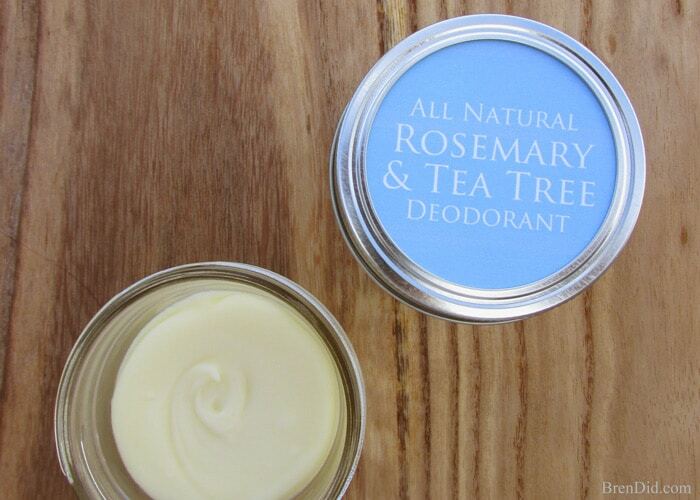 You can read my suggestions for making natural deodorant work better in this post. I’ve never made it this way. As far as staining it’s hard to say. This DIY cleaner takes it out easily. Hola Buen Dia! me encanta este articulo,yo uso desodorante natural lo preparo en casa tiene bicarbonato, aceite de coco y maizena o fecula de maiz y me ha funcionado pero este me parece diferente y quiero probar otro.Como preparo la mantequilla de mango? gracias por compartir. You can buy mango butter already prepared and ready to melt. I get mine here: mango butter. Hi if you make it in one of those twist deodorant rones in the tube thing, will that still work? I’ve never made the deodorant in a tube. It should work as long as you let it firm up a bit before pouring into the tube. When completely liquid/melted it might leak out. Oh Jesus! I must say I am in love with this recipe. I absolutely loves it. I made others before and my goodness, cannot be compared to this recipe at all. The other recipe I had to constantly apply and feeling insecure. Yo know, in church, I have to give praises, dancing and everything associated with my Heavenly Father, so I can not be able to feel insecure at all. One application, that’s it. No yellow underarms either or stains. Absolutely love. How many times have I stated, absolutely, well, just in case I didn’t say absolutely, I #ABSOLUTELY LOVE IT. There, I have said it, absolutely!!! Could you substitute lavender EO for the rosemary? Can I use cocoa butter instead of mango butter? Also howbout guar gum instead of cornstarch? Yes, you can use cocoa butter instead of mango butter. I’ve never used guar gum so I would not be comfortable making that substitution. 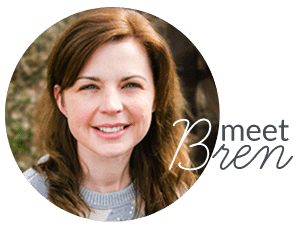 I have an allergy to coconut oil – could I use shea butter instead? Or would you recommend something else in replace of the coconut oil? Thanks! You could use shea or mango butter in place of the coconut oil but you should also add an little oil to make the deodorant spread better (mango butter or shea butter are thicker than coconut oil). I would use 1.5 Tbsp mango butter, 1/2 Tbsp almond oil, 1 Tbsp beeswax, 1/2-3/4 Vitamin E Oil, 2 Tbsp Arrowroot Powder or Cornstarch, 20 drops essential oil. Good luck! Thank you so much! I really appreciate the response – can’t wait to try this out! I made this – with the modifications you suggested to avoid coconut oil – and am so impressed! It works wonderfully! Thanks so much! Hello bren am very excited to make this where can i buy mango butter that can be grated and beeswax? Hi Wendy! I use this mango butter and this beeswax. Hope you like the recipe!